This provider directory is a listing of BirthNetwork National professional members who provide mother-friendly services to expecting women and families. 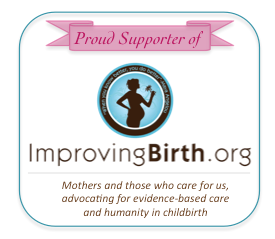 Our members support a woman’s right to make informed decisions about her pregnancy and birth options and advocate evidence-based, Mother-Friendly care as defined by the Mother-Friendly Childbirth Initiative (MFCI). SWFL BirthNetwork encourages you to seek providers who support your personal philosophies and does not endorse or recommend any providers. BirthNetwork members receive discounts on services and products offered by professional members! Look for the “Member Discount” on each listing. To become an Individual Member to start saving, join here. To become a professional member and be listed in both the printed and online versions of our provider directory, please visit the Membership page. Please read our disclaimer about providers listed on this site. What do the professional credential abbreviations mean? Contact Name: Jackie Burgess, L.M.